A while ago I bought the Sally Hansen Sheerest Cream Blush off of Amazon for £2.99 whilst originally looking for some hair straighteners - slightly off topic I know! As Sally Hansen does wonders for my nails, perhaps she could work wonders on my face too? I bought the shade Sunrise. In the photograph on the website the blusher looks like a peachy pink but in real life it's more of a coraly orange. As much as I would have liked the colour in the photo, I am pleased with this colour as it is a colour I wouldn't have necessarily chosen myself. It's called a Cream Blush but it isn't that creamy, not compared to a NYX Cream Blush that I own. It's much more chalky but it is still incredibly easy to apply, it just has a slightly strange texture. I apply with my fingers and this blusher is perfect for a sweep across the cheekbones or for contouring, it works well for both! I bought the Barry M Lip Paint in 147 Peachy Pink on a whim whilst browsing Asos a few days before Christmas where it was on sale for £2.50 rather than £4.49, the usual price. It arrived on Christmas Eve so I was very happy. In the bullet it looks a very peachy pink with a hint of a coral. "All lip paints have a soft, beautiful smooth texture that is packed full of natural moistures to help them glide on and stay comfortable to wear for hours." Does this live up to it's claim? Er, no. 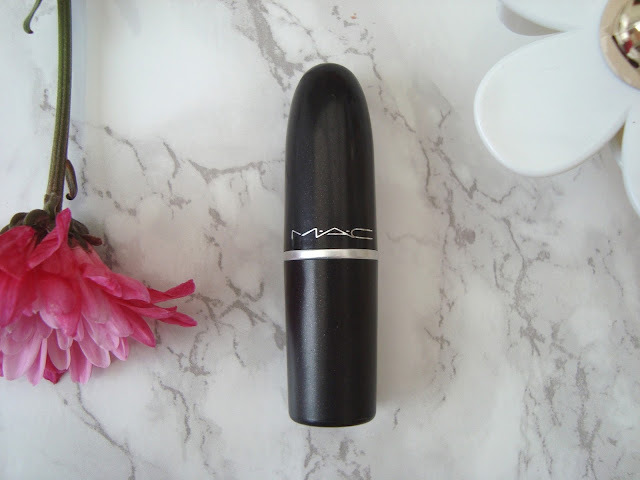 I shall start with a positive; all I needed was one sweep of this lipstick to get a full opaque colour, although my lips were very chapped when I first tried this and it really did not do my lips any favours. This lipstick is so drying that it was actually really rather uncomfortable to wear. I don't wear lip gloss but I think with this Lip Paint it is really necessary, just to stop it being so drying on the lips. I then tried this lipstick with lip balm underneath and it was a little more comfortable to wear but still really drying. I think Barry M definitely need to change their formula for this lipstick as I'm not a fan at all. 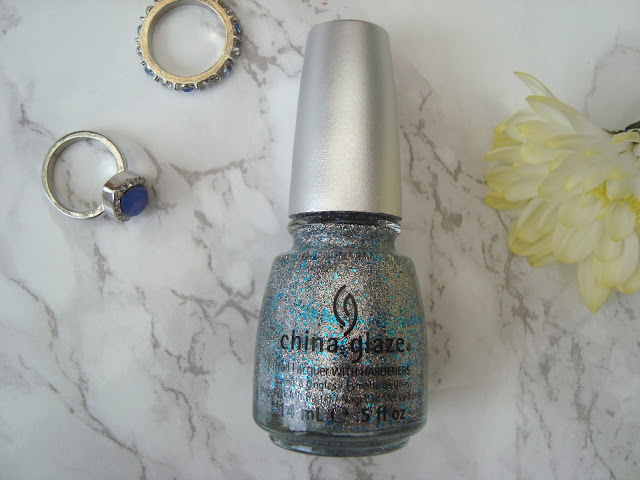 I have a self-confessed nail varnish addiction so when I spotted the China Glaze Eye Candy Collection, a collection of nail lacquer's crammed full with glitter, I could hardly resist. I first saw the collection here, and couldn't help but buy three. The first one I'll be reviewing is Lorelei's Tiara, a nail varnish crammed with small silver glittery specs and larger blue glittery chunks. I applied an undercoat first then applied two coats of Lorelei's Tiara, even though it was opaque enough for just one coat. I then applied a top coat but unlike the other glittery nail varnishes I own, this is very gritty. So much so that I applied a few more layers of top coat to get my nails to feel as smooth as possible as I wasn't too keen on the gritty texture. I've had this nail varnish on for about 4 days now and I noticed a small chip on one of my nails yesterday but I just painted over it, although with the amount of layers of top coat I have on, I'm surprised it chipped. Regardless of that, Lorelei's Tiara is a beautiful glittery varnish that is worth the gritty texture. I'm not usually one to shop in Miss Selfridge, partly because my local shop is incredibly small and it's always so packed that I just don't bother going in. 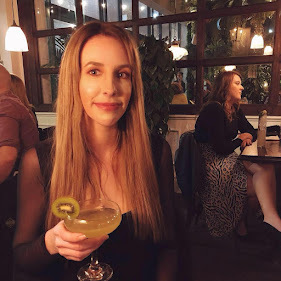 However, I was recently looking at some leggings on their website (the ones shown below) and instantly loved them before realising what I had been missing out on all this time. At the moment all I seem to be wearing is long tops/tunics/dresses with leggings. My all time fave pair of leggings are from Select and have a wet-look about them however I wore them once and then noticed a huge rip up the arse so I have to be careful with what I wear with them. 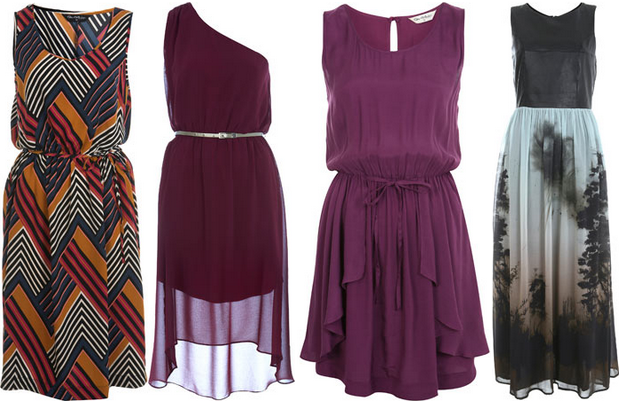 Here's a few of my favourites from Miss Selfridge! Chain Print Leggings (as seen on Jesy from Little Mix) - £20, click here. Mesh Panel Stripe Leggings - £22, click here. Ochre Colour Block Leggings - £20, click here. Out of the three leggings above, the ones I want the most is the pair on the right as they would make my fat thighs look smaller because of the little optical illusion thing going on with the yellow and the black. As I am a girlie girl there is nothing more I like wearing than dresses however, because I have lovely fat legs I have to wear dresses that stop on the knee or below the knee, although this is easier said than done because most midi dresses look like something my Nan would wear - I am 18, not 80. Fortunately, last summer we saw a trend with the midi dresses/skirts and maxi dresses/skirts so there's no reason for me to not buy a few this year. Here's a few of my faves! Multi Stripe Midi dress - £37, click here. Burgundy Asymmetric dress - £39, click here. Mauve Drape dress - £32, click here. Leather Bodice Printed dress - £120, click here. Out of the four above, the dress that I don't think I can quite live without is the third one. I think this dress will be perfect for when I go on holiday to Cyprus in June! Breezy Black Open Back Boot - £52, click here. Sassy Green High Court Shoe - £42, click here. Super Orange Mary Jane Heel - £45, click here. Whisper Black Wedge Shoe - £42, click here. What are you currently wanting from Miss Selfridge? A while ago I bought The Body Shop Tea Tree Skin Clearing Toner where I splurged a little and went mad on Tea Tree products. For a long time now I have been using facial toners before bedtime and after I wake up to ensure every scrap of make-up has been removed and makes me feel a bit fresher. The front of the Toner bottle claims it "Sweeps away traces of impurities for clearer looking skin. Leaves skin looking mattified. Infused with tamanu oil." As I have oily skin I will do anything for my face to look less oily so if this will help in any way then that's a huge bonus. As it is a Tea Tree toner, of course, it is going to smell like tea tree oil which I personally don't mind but if you don't like the smell of it then I suggest you give it a bit of a smell in the shop and see if you can cope with it as the smell doesn't last long on the skin and it isn't over-powering at all. The toner itself is a green watery consistency but it has a thick white line at the bottom of the bottle which is apparently the mattifying powder which you have to give a bit of a shake before you use. I don't know how it all works but it does give the skin the matte look The Body Shop claims. To apply, I tip about 7 little drops onto a cotton ball and sweep it all over a make-up free face which leaves a refreshing, cooling sensation. It also makes the skin feel tight which I don't find too unpleasant. I use this toner when I have angry spots and fortunately, it doesn't make them worse as it's a very gentle toner. Before Christmas I bought this little bottle of rainbow coloured glittery nail varnish, aka, Technic Nail Varnish in Carnival. 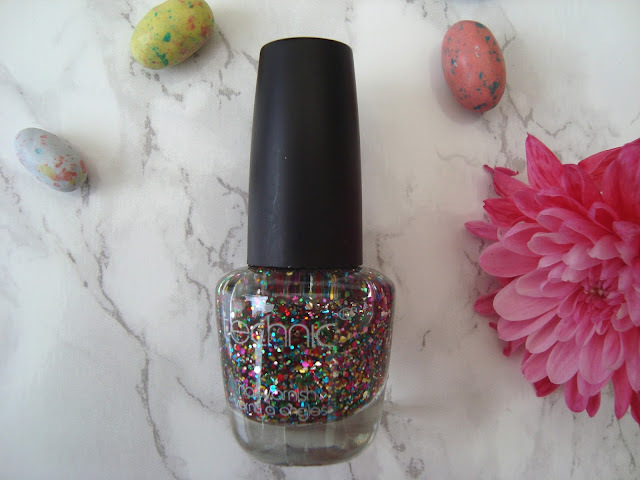 This little bottle of heaven is the perfect dupe for OPI's Nail Varnish in Rainbow Connection which is from The Muppets OPI range. Technic Nail Varnish in Carnival is a clear nail varnish crammed full of different sized multi-coloured specs of glitter. This is the most perfect top coat and if, like me, you don't want to spend £10.50 on a bottle of OPI, then I urge you to go out and buy one of these for 99p! You can either chose to wear this on it's own (although you'll have to use a lot of layers) or as a top coat which is how I chose to wear it. 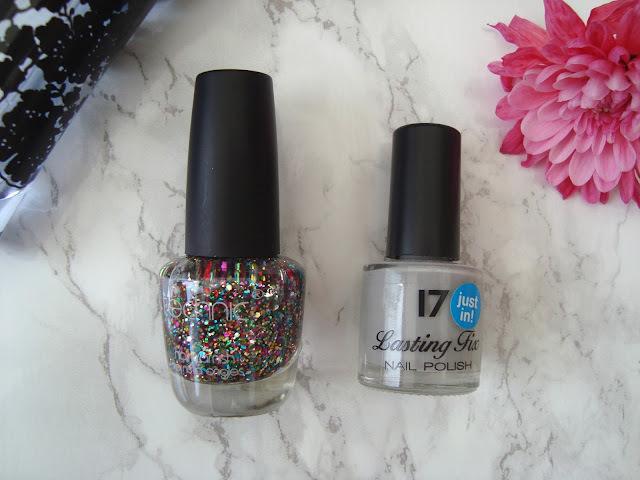 I wore this on top of 17's Lasting Fix Nail Varnish in Chaperone which is a lovely light grey colour. Everyone, meet my first ever MAC Lipstick! I bought Pretty Please recently which is lustre in formula and described as "a pale pink pearl" on the website. 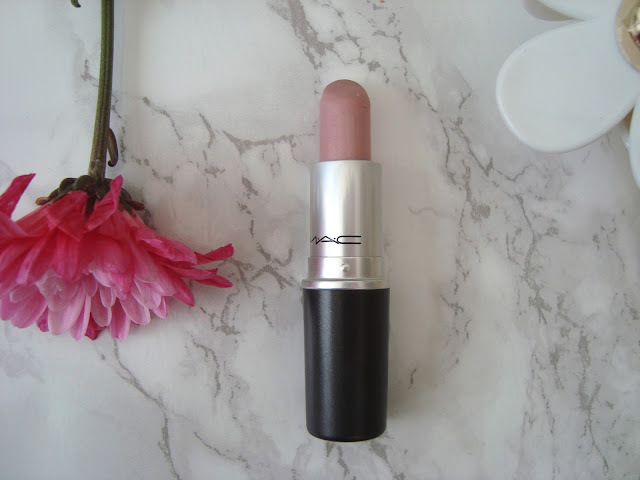 Pretty Please definitely is a pale pink pearl and due to the lustre formula, it is pretty sheer. You have to apply a few layers to build up a substantial colour if that is what you are after. If you are after just a lip tint with a pearly sheen then one quick swipe is perfect for you. Pretty Please itself is quite moisturising. It feels just like wearing a lip balm on the lips, completely non-drying and comfortable to wear, unlike matte lipsticks. It wears off after a couple of hours but that is like every lipstick out there. I love the diversity of MAC Lipstick shades and formulas and for that, you can't fault them! 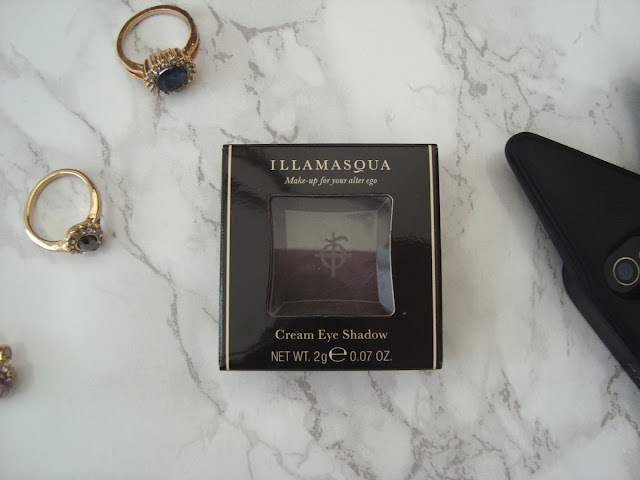 If you read my post about the Illamasqua sale then you would know that I bought the Cream Eyeshadow in Thief and a Nail Varnish in Snap, which I have reviewed here, for £5 each. I was looking through the colours of the Cream Eyeshadows on the website and decided on Thief, a colour that can't decide whether it's going to be a dark grey or a dark brown. In the pan it looks incredibly grey, however when swatched it comes out as a dark brown. I had to use quite a bit of Thief to be able to get an opaque colour, or perhaps to get a colour that I actually liked. I really thought I was going to like this colour but I'm still a bit unsure about it. It looks a bit too dull for me, I think. This product is incredibly easy to apply to the eyelids as it is incredibly creamy. I used my fingers when applying this as I could pick up the right amount of eyeshadow with my fingers rather than with a brush. 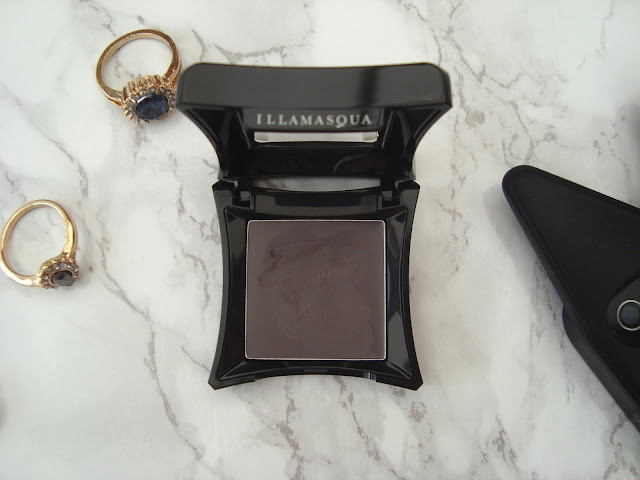 When I first used this I wore it on its own and it creased quite quickly, so the next day I used it as a base and it worked wonderfully with a brown powder eyeshadow from L'oreal. I most definitely prefer this colour when paired with another colour - a colour with a bit of sparkle to it, otherwise I think it makes me look like I have a bit of a black eye. All in all, I do like this eyeshadow but I don't love it. Would I have paid the full price (£15.50) for it? Most definitely not but it's nice enough. These Cream Eyeshadows are available in 11 different colours. Update: Since writing this post I have had so many messages on twitter, tumblr and instagram asking for the direct link to this bag. The seller I bought from doesn't stock this bag anymore so I have added a different link to an identical version which is slightly cheaper. A slightly different post from me today but as I love this bag so much I thought that some of you might love it too and would want to know where it was from. For years I have lusted after the Alexander Wang Rocco Handbag and constantly stare at photos of it on google. Heartbreakingly, they come in at around £500+ so I set out to find a cheaper version. This look-a-like obviously isn't real leather like the original but it feels incredibly soft and looks real so that's good enough for me. The bag came with the long strap inside the bag which I immediately attached to the rings on the handles as I find it impossible to hold a bag without the need to swing it over my shoulder! Inside the bag is a lovely floral print which I adore. There is two little phone pockets inside, as well as a zip-up pocket in the middle of the bag and a side pocket. 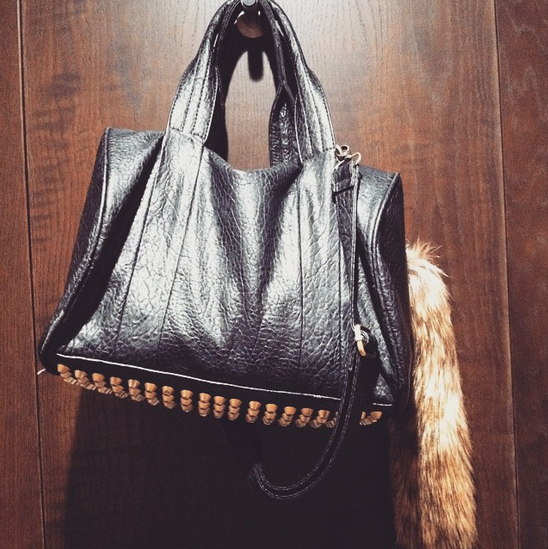 As for the best bit, the bottom of the bag is studded with gold studs which is what we like! I have now owned this bag for three years and it is still going strong with all studs still intact. Wild Purple is a lovely bright purple with a silver shimmer running through it. On the website, Boots describes this product as being a "creamy mousse formula that glides onto eyelids" which I completely disagree with. Yes, it glides onto lids but it isn't a mousse formula. It's definitely a creamy formula, but there isn't anything mousse-like about it. It has the same consistency as a cream blusher, if you like. I applied Wild Purple using my finger and it was really easy to apply. I did have to use quite a bit of product to get a bright opaque colour, however they are very blendable. Disappointingly, within five minutes of applying the Cream Eyeshadow it had creased horrifically. I was so disappointed as it had so much potential! The colour is pretty and nice enough but because of the creasing I don't think I will bother with these 17 Cream Eyeshadows again. 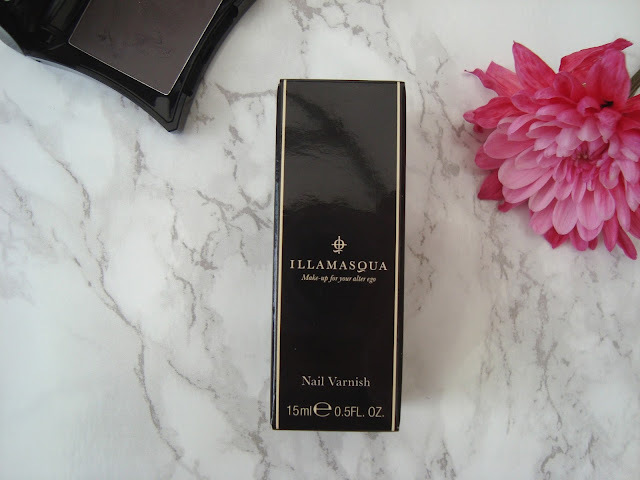 Following on from my post about my little Illamasqua haul, here are a few swatches of the nail varnish I bought in the shade Snap. 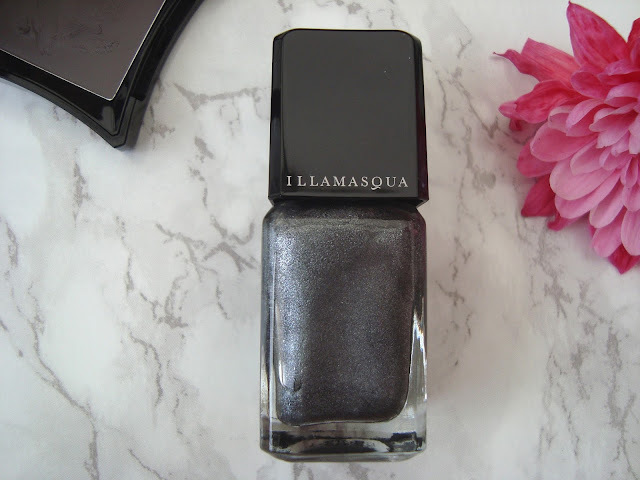 Snap is described as "a rich pewter with a shimmer finish" which I would agree with to an extent, however to my eye it does look like a matte finish, which I adore. The colour is a gorgeous grey with a beautiful silver shimmer. I applied a top coat after applying a couple of coats of Snap, which is fairly opaque formula wise, and was a little disappointed when it came to chipping. I found that it only lasted about a day before chipping significantly which is a shame considering the packaging boats of it's chip resistance. It's disappointing from a high end brand as I did expect more considering the price. I do adore the shade but would I have paid the full price of £13.50 for it? Perhaps, but I would have been disappointed. I love the colour but the formula lets it down. 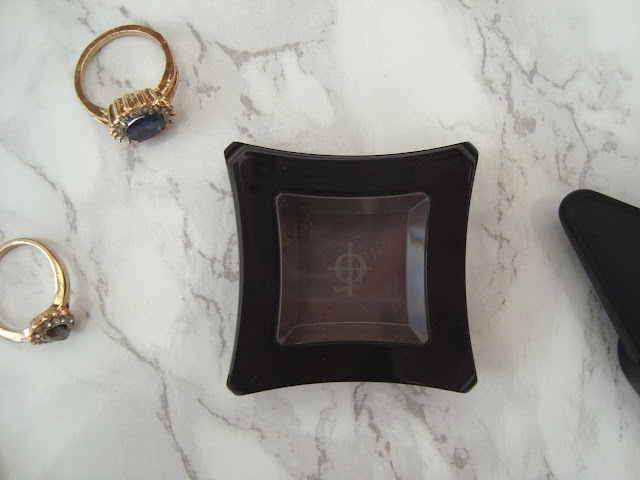 I have wanted a YSL Arty Oval Ring for about a year now but with no luck of buying one. I did ask Santa for one but Santa kindly replied with "in your dreams". Yves St Laurent Arty Oval rings come in at an eye watering £165. I've slowly come to terms with the fact that I won't be able to buy one of these for a while so instead, I hunted the interweb for a look-a-like but purse friendly version. I searched Google and came across the website Shopdixi where they are selling YSL look-a-likes for just £6! Having searched through a few more pages of the jewellery section, I saw a little deal on where you can buy two for £9. The colours in the deal were turquoise and black, turquoise being the colour I wanted originally. I decided on buying them with the intention of giving the black one to my sister for Christmas. Effectively I saved £159 and bought two so if you were after the original and might not be able to afford it right now, then it may be worth having a look for some look-a-likes. The whole reason why I bought this was to give it to my sister for Christmas but I didn't realise that this ring is actually smaller than the turquoise one - meaning that it wouldn't fit either of us! This ring is a size Small, which my sister is and yet it still didn't fit her so I'm not sure if there's something wrong with the sizes or not. My favourite ring ever. I keep it in the cute little black velvet pouch that came with it and it's a ring that makes me not able to stop staring at it in admiration! I have to admit though, it is actually too big for me and it's size Medium so I can't really win with these rings size wise. 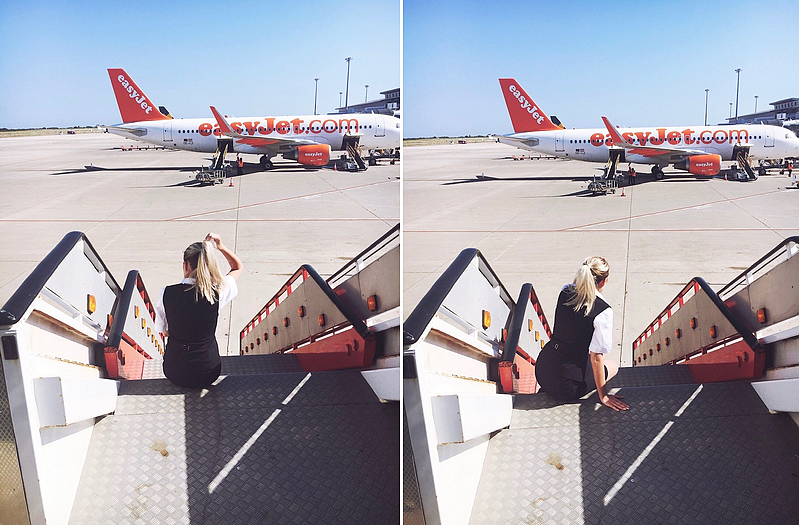 Small is too small, medium is too big! 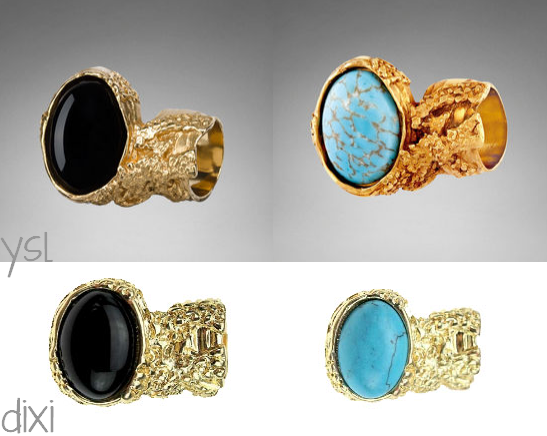 Of course, if you can afford the YSL Arty Ring then knock your socks off, just don't tell me as I'll get jealous. If you've been following my blog for a while then you'll probably know that I do love a bit of eyeliner so when I was flicking through an Avon brochure a while ago and came across the SuperShock Gel Eyeliner on sale, I couldn't not buy one - and an eyeliner brush too. I bought the shade Blackened Metal which is a dark grey, nearly black eyeliner with specs of silver shimmer throughout which makes it perfect for day and night. The gel eyeliner comes in a little pot with a twist-up lid which makes it very secure. The consistency feels really firm in the pot, so much so that it needed a bit of working in order to get any product on my eyeliner brush. I had to buy a brush as there wasn't one included to so I bought the Avon Eyeliner Brush for a couple of pounds. Once the eyeliner softens up a little, it is really easy to apply. With the help of the angled eyeliner brush, it is really easy to do a little flick on the eyelids which I seem to struggle with when using a liquid eyeliner pen. I found that the Supershock Gel Eyeliner didn't transfer onto the top of the eyelids which seems to be a regular occurrence with eyeliner, although I do wish the colour were a little darker. Just before Christmas I bought this lovely bottle of nail varnish called Mystic Mauve by Model's Own. I really wanted to buy Juicy Joules but they were in the middle of re-stocking the shelves and didn't have many nail varnishes left so I picked this one up instead. It's a completely gorgeous lilacy pink with a shimmery foil finish. I would say this was a cheaper dupe for No.7's Milan, which I posted about here, but with different tones. Mystic Mauve is more of a lilac whereas Milan is more pink toned. Milan used to be my favourite nail varnish but now that might have changed. I'm ashamed to say that this is actually the first Model's Own nail varnish I own! I expected to have to put on two coats of this varnish to create an opaque colour but one coat was perfect. It dried incredibly quickly and I didn't smudge it, which is rare. I've been wearing this nail varnish for a week now and only the tips of two of my nails are starting to chip, which is very good, although I was wearing top coat. I completely and utterly recommend this nail varnish, it's £2 cheaper than No.7's Milan and dries much quickily as well. I was recently on eBay looking at make-up and came across the Collection 2000 Face and Body Illuminator in shade Maldives. It's sister product, Collection 2000 Face and Body Illuminator in Palm Beach, has been described as a dupe for NARS Multiple in Palm Beach, however the whole Collection 2000 Face and Body Illuminator product range is likened to NARS Multiples. It only cost £3.10 (including P&P) which is £25.90 cheaper than NARS Multiples! I haven't ever tried the NARS Multiples but having read some reviews online, they do sound very similar. The stick Maldives comes in is retractable, which is very handy as you twist it up, wipe it where you desire, twist it back down then throw it back into your make-up bag. I forgot to take a photo of the stick itself with the lid off but you get the general idea. The stick is the perfect size for highlighting cheekbones - one short swipe and you're all good. However, this can be a bit of a pain when you want to highlight the inner corner of your eye as it's really chunky and very pigmented so you don't need to use too much. The colour itself is a gold highlight with a silver shimmer to it, making it the perfect highlighter for cheekbones, eyes and cupid's bow. I find the stick too chunky to be able to highlight the inner corner of my eye as it is very chunky, which is a shame. This product lasts around 5 hours of wear (without a setting spray) but if you regularly re-apply your make-up then it shouldn't be a problem for you. Overall, I am really impressed by this whimmy eBay purchase. It is a lovely cheap highlighter with a lovely golden shimmer, perfect for highlighting cheekbones.